A 30-year-old woman filed for divorce from her 32-year-old husband after only 40 days of marriage on grounds that he is “so stingy” that he refused to buy her a shawarma sandwich on their first and only outing as a married couple. Speaking before a Family Court in Zananiri, Egypt, the young woman, known only as Sameeha, said the shawarma incident was the straw that broke the camel’s back. She had married Ahmed, a teacher, after only knowing him for two months, which apparently wasn’t long enough for her to realise how incredibly stingy he was. However, his frugal nature became very obvious right after their traditional wedding. On their first day of marriage, Ahmed allegedly told his wife that he hated going out because he viewed it as a waste of money. She didn’t pay much attention to his words then, but things got worse with each passing day. Sameeha told the judge presiding over her divorce case that despite having a good job and tutoring students in his free time, Ahmed adopted an extremely frugal lifestyle, even when it came to food. When he left for work, he always checked how much bread was left, and one time, when Sameeha ate a loaf of it in his absence, he told her that she was to eat only rice and macaroni until the weekend. The young woman told her family about Ahmed’s stinginess but they said it wasn’t a cause for concern and advised her to be patient, that her husband would change in time. They were wrong. “My husband is too stingy to even speak; when I ask him to talk to me, I end up talking to myself most of the time,” the woman said, trying to explain how thrifty Ahmed could be. But the incident that finally convinced Sameeha that she needed to get a divorce occurred 40 days into her marriage to Ahmed. She begged him to take her out for a drink so she could get some fresh air, and he reluctantly agreed. 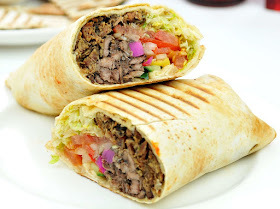 But when she asked for a shawarma sandwich, he flat out refused, saying that they had only gone out for a drink, not food. “He accused me of using him to order sandwiches and juice in one day,” Sameeha said before the court. Sameeha couldn’t take it anymore, so she returned to her parents and filed for divorce. She told the judge that she couldn’t go on living with her ‘sick’ husband. The case is currently in an Egyptian court.